Before joining the Northern Land Council as CEO in 2008, Mr Hill worked as a senior government advisor to the Northern Territory Chief Minister, the Deputy Chief Minister and the Business Minister. In 1990 he was elected to the Yilli Rreung ATSIC Regional Council in Darwin and went on to be elected Chairman. He also served as ATSIC Commissioner for the North Zone and was appointed by the ATSIC Board of Commissioners as their representative on the board of Indigenous Business Australia. 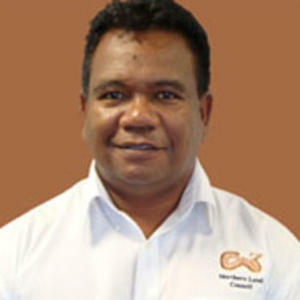 Kim began his career at the Northern Land Council in the Land Claims section from 1988 to 1994, before joining the now defunct Aboriginal & Torres Strait Islander Commission (ATSIC) as a Project Officer based in Katherine. He went on to work for former MLA Jack Ah Kit and as an indigenous consultant to the Family Court of Australia. Kim Hill was born and bred in Darwin and belongs to a number of language groups including the Ngarriman, Tiwi and Jingili peoples of the Northern Territory. He was educated in Darwin at St John’s College and then Darwin High School.